Rooke had been given a six-month conditional discharge and told to pay £200 after admitting that he owned a television and watched it without a license. 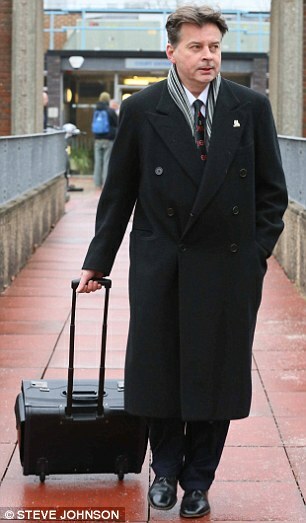 He represented himself at Horsham Magistrates’ Court in West Sussex. Although he was not allowed to show his video evidence in court due to the District Judge deeming it irrelevant to the trial, the fact that the BBC reported WTC 7’s collapse over 20 minutes beforehand proved to be evidence enough. “The BBC reported it 20 minutes before it fell. They knew about it beforehand. Last time I was here I asked you (the judge): ‘Were you aware of World Trade Centre 7?’ You said you had heard of it. Ten years later you should have more than heard of it. It’s the BBC’s job to inform the public. Especially of miracles of science and when laws of physics become suspended. “They have made programmes making fools of and ridiculing those of us who believe in the laws of gravity. American reports have shown that the fall was nothing but a controlled demolition. In light of the evidence the judge took into consideration, Rooke was given an unconditional discharge, which in British legal parlance means he “was convicted but he does not suffer the consequences of a conviction, and the conviction will be erased if he is not brought before the court for six months.” He was not required to pay the fee and non-payment fine either—only court costs of £200.